and a passion to get unstuck. Nothing beats real human connection. We believe it's okay to need motivation to take risks. That facing fears can be fun, and that one change can inspire another — and other people. So we built a game to help you get out of your comfort zone — to make it fun and easy to see what happens when you do things differently. These 30 adventure cards will connect you in crazy new ways — maybe you’ll ask a rockstar for a mantra, uncover the secret to love, or simply make a stranger’s day. Bring serendipity, connection and adventure to your life. Play alone or with others, at home or on vacation. Rediscover your city and yourself, make new friends, fall in love or get re-energized at work. The more you play, the more you grow — and the more the unexpected starts to happen. The rules are simple: just pick a card and complete the adventure. Take as long as you need, and when you're done, pick a new card and start all over. Most importantly, just say "yes." SERENFLIPITY is rooted in behavioral science — and in real experience. Our founder, Cara Thomas, built this deck to help her get unstuck after a breakup and re-inspired at work. 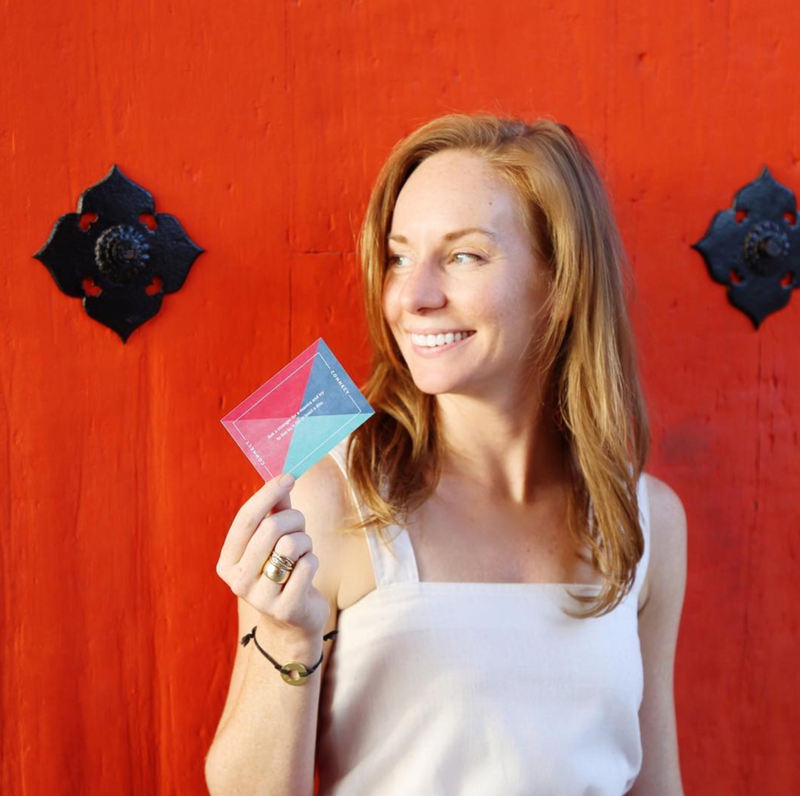 Cara spent over 10 years inventing award-winning products for Fortune 100 companies with What If Innovation. She found that adventure and playfulness led to breakthroughs with her clients. In need of that herself, she started Serenflipity as a personal experiment, when she convinced 90 friends, clients and strangers to write adventures for her to complete on a solo travel journey. The results were surprising and serendipitous — and even included getting life-changing advice from Steven Tyler. She blogged the tales, and followers began to do the same challenges to great result. A stranger gave her the final challenge of her trip: to turn this project into a product to spark the same magic for others. While working 80 hour weeks and living in Singapore, she successfully crowdfunded and launched Serenflipity’s beta. As she turned the project into a product, she discovered that going beyond your comfort zone and connecting with others and the world around you doesn’t have to be scary or serious. And it doesn’t require an exotic trip. It can be fun, easy, and happen right in your hometown. Now, fans around the world are flipping their ways to new relationships, rekindled friendships and serendipitous encounters that spread joy.